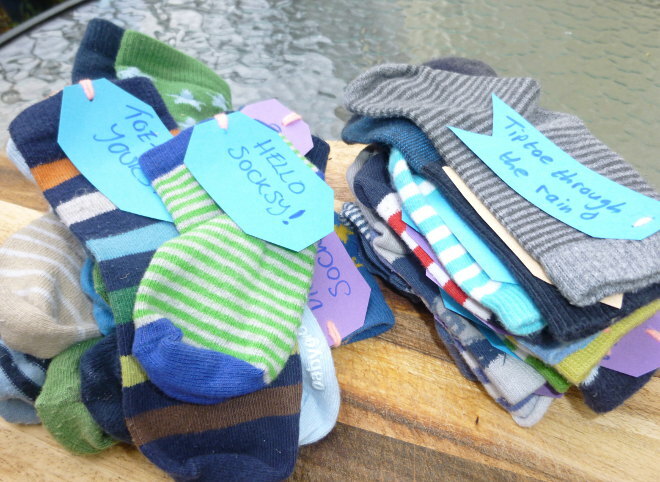 A couple of years a friend and I wrote up a mass of cheery statements and attached them to my nephew’s discarded baby socks, then scattered them through the neighbourhood. It became part of the Totterdown’s Front Room Arts Trail 2015. Our only goal was to spread a few smiles. Why not attempt something similar with your writing? Word or poetry bomb a public place to make someone stop in their tracks and think for a moment.